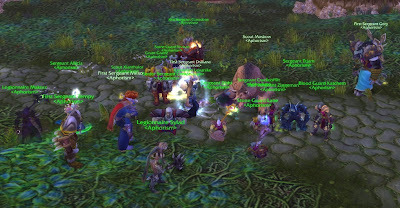 Aphorism: Thekal, Arlokk, and Jin'do down! 2 in 1: Buru and Moam down! Hakkar down - Zul'Gurub cleared! Thekal, Arlokk, and Jin'do down! With a full raid, we finally managed to down Thekal, Arlokk and Jin'do! Not to mention we got Primal Hakkari Kossacks for pretty much everyone in the guild in a single run, and on top of that Arlokk honored us with Will of Arlokk for our beloved druid. We had some really good progress lately, considering this was only our 5th run to Zul'Gurub! 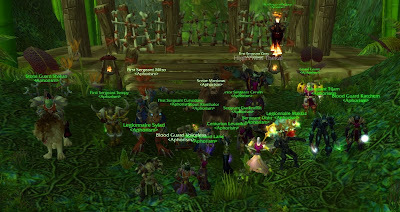 Congratulations to all the participated and help move Aphorism one big step forward to clearing this instance!